I started following everyone who follows me (unless it was a spam account or otherwise objectionable). I wasn’t in the habit of automatically following folks who followed me. Instead, I’d visit their account, check out their blog if they had one and then follow them. Except sometimes I forgot. I made a conscientious effort to follow every single new follower. This won’t help you get new followers, but it will help you keep them. If you don’t follow people back, chances are they will unfollow you. Remember that it’s not all about you. When you share other’s content, it actually can help you both gain and retain followers. I’ve noticed that a lot of the “bigger” bloggers make an effort to share others’ content. I always appreciate these shares and so I spent some time searching out posts that I liked and sharing them via Twitter. I gained a few new followers this way and I like sharing things that I found helpful, or particularly insightful. I started using just unfollow. Just unfollow is a website that you can link to your Twitter or Instagram account and it will not only help you figure out who isn’t following you, it will suggest people you might want to follow based on you inserting an account name. For example, if I wanted to follow accounts that were similar to my girl Mar, I get a list of athletic folks and some folks from Pittsburgh. From there, it’s easy to go through and follow folks who are interesting! The great thing is, that most of these folks will follow you back, thus increasing your Twitter following. Most of my new followers have come this way. How do you find new followers on Twitter? Sharing other posts definitely has attracted new followers for me. I’ve never heard of unfollow, it sounds really useful! I’d also say that hashtags definitely help you get new followers if you have an interesting post to share! Yes! Hashtags can be very helpful! I usually just follow the folks that are suggested to me by twitter. How do you know if you are following a certain hashtag? Meranda@fairytalesandfitness recently posted…What is Yoga All About? Meranda: you just click on a hashtag and you’ll see tweets tagged with that hashtag. Depending on what you use to access twitter you can create a column that is just for that hashtag – then you’ll be ‘following’ it. Great tips, thanks! I’ve still been figuring twitter out and I haven’t been following everyone back automatically either. I’ve been doing the same thing you used to do but I can see how it makes sense to just follow back. And I hadn’t heard of Just Unfollow so I’ll have to check that out. Definitely check out Just Unfollow – it’s pretty cool! Lol. Now why in the world would you get Pittsburgh folks? Thanks for the shout out! Good tips as always. Thanks for sharing these tips, Courtney. I’ve never heard of Unfollow, and will definitely be checking that out. When I first joined Twitter last summer I had a similar following practice that you did, and now I’m trying to be better about following everybody that follows me. I also use the Twitter suggestions to try and find new followers. Yes, Twitter’s suggestions are also very helpful! I think you’ll like Just Unfollow – I’ve been spending about 10 min a day on it and it’s helping me grow my followers! Great Tips!! It’s so hard to try to keep up with everything, these days. I am so behind in reading all the blogs I follow. It takes me forever to just write one post for my blog, I have spent so much time on writing a post that I don’t have enough time to catch up on all the wonderful blogs I follow. I usually use the time when my son naps to work on my blog but usually that isn’t enough time 🙁 Do you have any tips in trying to keep up with reading blogs, maintaining your own blog, etc? Lindsey, that’s the trick, right? I check out bloggers who read and comment on my blog + my tribe (Mar and Cynthia) first. Then I go through bloglovin every few days. That plus reading anything that I spontaneously see that interests me. (I always read every blog that links up on Fridays as well) = that’s my strategy. When I get behind, I clear out my bloglovin back log and just move on. It happens. As far as blogging, I use an editorial calendar (I’ve blogged about that here before – just search “editorial calendar” in my search box to find that post) and I’m constantly using it to sketch out ideas. 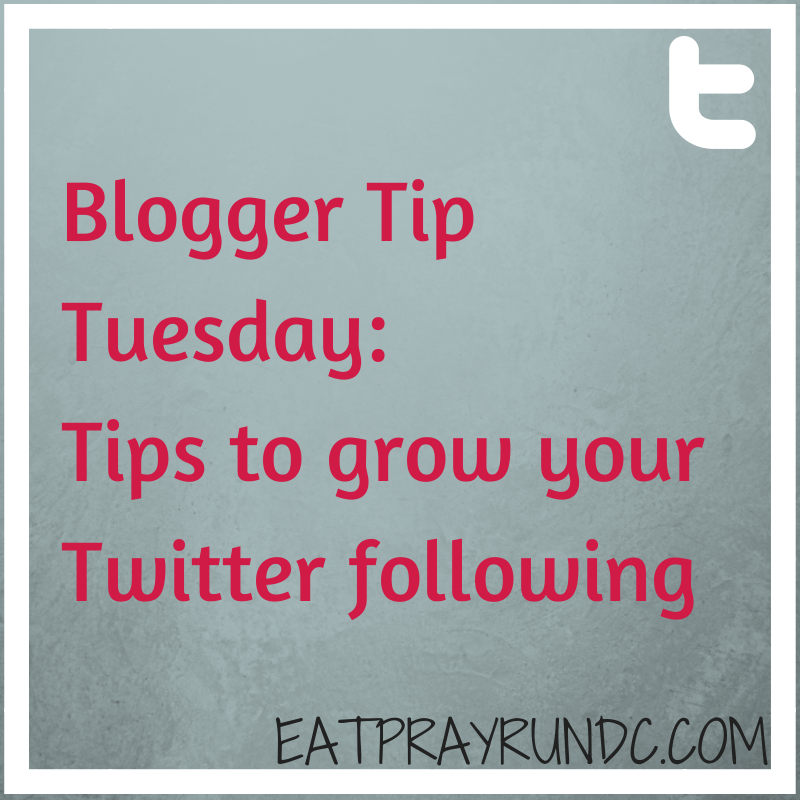 Having things like blogger tip tuesday / wedding wednesday and the friday five helps as well. I’m not beholden to any of those except friday five but it helps me think of ideas. Great question! Great tips! I was wondering what Unfollow was all about! I think I’ll sign up too. Blogging/Twitter/Social Media in general is very much a give and take situation. I love the sense of community so much so it’s easy, but at the same time it’s important to put in the effort! I really do recommend unfollow – it’s been helpful! I find new people to connect with and follow through Twitter chats. I love your Blogger Tip Tuesdays. I’m still a fairly new blogger, so I haven’t expanded to Twitter, but one day I will! I’m pretty busy as it is with my blog and Instagram! Marnie @ SuperSmartMama recently posted…Week in Review: California! Those are great tips. I try to follow people back but you’re right sometimes I forget. I am going to check out Just unfollow too. Thanks!